Christopher W. Jones specializes in the history of the ancient Near East with a focus on the Neo-Assyrian Empire in the 9th to 7th centuries BC. His dissertation, titled "Power and Elite Competition in the Neo-Assyrian Empire, 745-612 BC," seeks to understand the structure of the Assyrian imperial system through studying communication and competition between government officials for power and status. “Understanding ISIS’s Destruction of Antiquities as a Rejection of Nationalism.” Journal of Eastern Mediterranean Archaeology and Heritage Studies 6, No. 1-2 (2018): 32-58.
Review of Culture in Crisis: Preserving Cultural Heritage in Conflict Zones (Washington, DC: The Antiquities Coalition/Johns Hopkins School of Advanced International Studies, 2017), in Future Anterior, forthcoming. 2011 – B.A., Peace, War & Defense, Ancient & Medieval History, University of North Carolina at Chapel Hill. 2014 – M.A., Biblical Archaeology, Wheaton College. 2016 – M.A., History, Columbia University. 2017 – M.Phil, History, Columbia University. Since 2014, Christopher has also been active in documenting the destruction of antiquities in Iraq and Syria through his blog Gates of Nineveh. His work on the topic has been cited online or in print in the New York Times, Washington Post, Los Angeles Times, USA Today, Mother Jones, Le Figaro, Al Jazeera, The Global Dispatch, El Mundo, The Guardian, El Pais, The Atlantic, Fox News, LiveScience.com, War is Boring and National Geographic. He has also been a contributor to Hyperallergic and Apollo and has been interviewed as an expert on BBC Radio 5's Up All Night, CJAD Radio Montreal and Huffington Post Live's World Brief with Josh Epps. 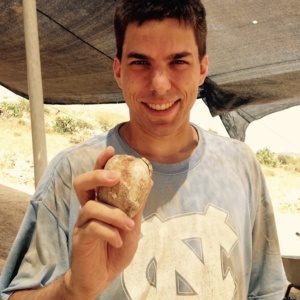 In addition to his work on his dissertation and on cultural heritage issues, Christopher has excavated at several sites in Israel, and has TA'd classes in Greek, Roman, Mesopotamian and Jewish history in Columbia's history department. He also helped plan a graduate conference on "Refuge and Refugees in the Ancient World" which was held at Columbia from November 11-12, 2016. In his spare time, he enjoys hiking and watching wildlife.